It's been a long time coming, but we're excited to announce that long time Stark faves Summer Camp will be dropping their debut full length Welcome to Condale on November 8th in North American via Summer Camp's own Apricot Records, an imprint of much loved London based indie Moshi Moshi Records. As a preview of the new material, on September 13th they'll digitally release the new single "Better Off Without You" streaming below. 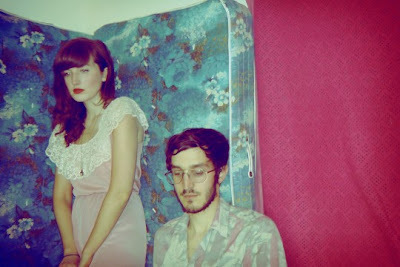 Summer Camp (Jeremy Warmsley and Elizabeth Sankey) purvey nostalgic and hyper-melodic 80s pop that would sound perfectly acceptable in period dramas like 16 Candles or The Breakfast Club. That's certainly not a knock on this band (especially given John Hughes' great taste) good songs are good songs, and while we haven't yet heard this full length - their solid track record of past singles speaks for itself.